C.F. 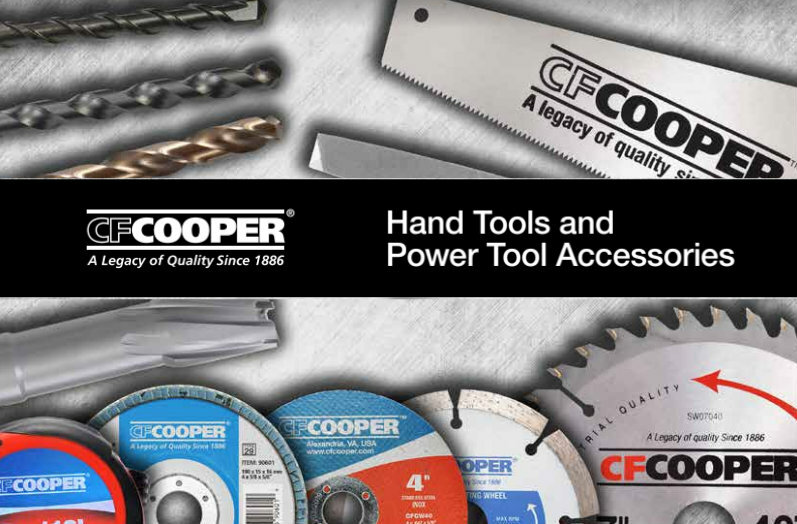 COOPER® develops and distributes professional grade hand tools and power tool accessories totradesmen and craftsmen around the world who require high performance tools at competitive prices. C.F. Cooper’s brand portfolio includes an ever-expanding range of SIMONDS® power tool accessories, C.H. HANSON® hand tools, MEGAPRO® fastening tools, which C.F.Cooper Inc., hold the exclusive rights to market within Asia and other selected geographical areas. a comprehensive range of Hand tools, Shaping & Cutting tools and Power Tool Accessories to thedescerning consumers in the global market. Our success is the result of our never-ending commitment to develop & provide high quality tools forprofessionals with innovative features that are fairly priced.